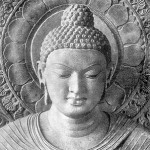 We are happy to announce Zen teacher Andre Taesan Halaw’s third visit to the Buddhist Sangha of Bucks County on Monday, November 28th. 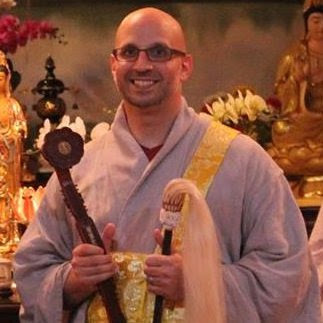 Andre is a Zen monk and teacher in the Five Mountain Zen Order. He teaches high school English, is married, and has two young children. In July of 2016, Andre received Dharma Transmission from his teacher, Zen Master Wonji Dharma. Andre’s teaching in Yardley that night will focus on the questions below, and he will also lead us in a guided meditation. We will meet that night at our regular time, from 7 to 9 PM. We look forward to seeing everyone then for a lively teaching and a Q&A session with Andre. “We sit with the intention to be mindful of the present moment. We rise from our cushions with the intention to be mindful in daily life. While sitting, when we lose focus, we use the breath to return to the present moment. In daily life, there are so many stumbling blocks; what can we use to remember to be mindful?